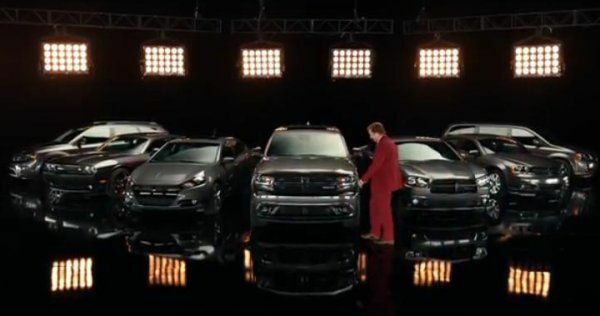 The Chrysler Group introduced their new 2014 Dodge Durango advertising campaign a few weeks ago featuring TV and silver screen funnyman Will Ferrell playing his well known character Ron Burgundy from Anchorman and the Anchorman 2 which is set to hit theaters this Christmas. When these ads were first aired on the internet and on various television networks, some questioned whether Ferrell’s form of semi obnoxious slapstick comedy would be the right fit but with the first two batches of Ron Burgundy Durango ads bringing over 8 million views on Dodge’s YouTube channel – it is clear that these ads are a big hit with internet viewers. I'm not sure how many of those views came from folks who are old enough to drive but there is no question that this campaign featuring Will Ferrell is a success in terms of putting the new Dodge Durango (and the rest of the 2014 Dodge lineup) in front of a whole lot of eyes. To build on the success of the early 2014 Durango ads, Dodge has once again introduced a new batch of YouTube videos (some of which will likely end up on the small screen amidst your favorite programs) but this time the Anchorman is using his talents to promote the entire Dodge brand as a whole. Not surprisingly, these new videos follow the same basic direction as the first collection with plenty of foolish and borderline nonsensical humor over Burgundy’s inability to grasp the English language. Also, we see some repeat co-stars including the white horse and the white horse’s “baby”…who we learn could actually be the father of the larger horse. While fans of Will Ferrell and Ron Burgundy will likely be excited to see a handful of new Dodge ads, we have some bad news for those Dodge fans who are tired of these Burgundy ads. Reports suggest that Ferrell filmed footage for somewhere in the area of 70 ads so provided that these clips keeping bringing in the views on YouTube – there would be dozens more Ron Burgundy Dodge ads. When we take into consideration the fact that Anchorman 2 doesn’t debut until December 25th and these ads help to promote both the Dodge brand and the upcoming movie sequel, we could be seeing several more months of related Dodge advertisements on television and the internet. For those of you who think that these ads are stupid and not very funny…look on the bright side…it least it isn’t Jimmy Fallon. All five of the newest 2014 Dodge advertisements with Ron Burgundy are available below and in my opinion, these are the funniest ads in the series thus far.